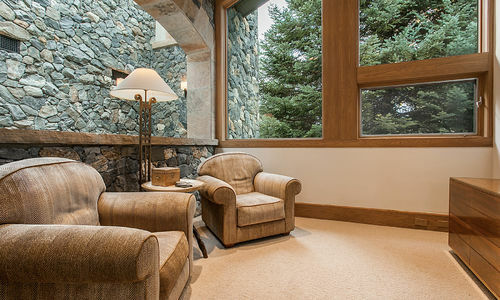 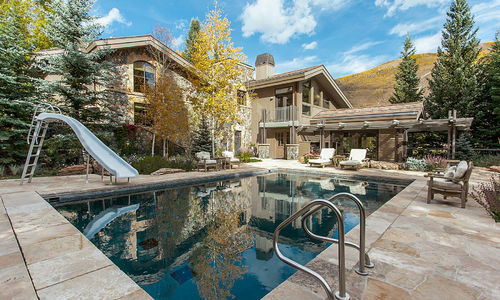 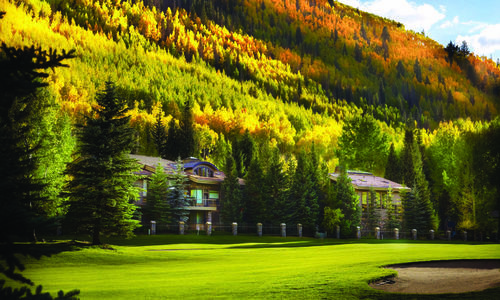 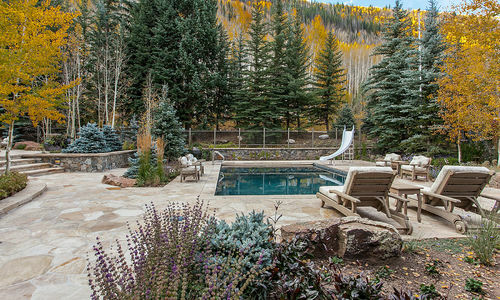 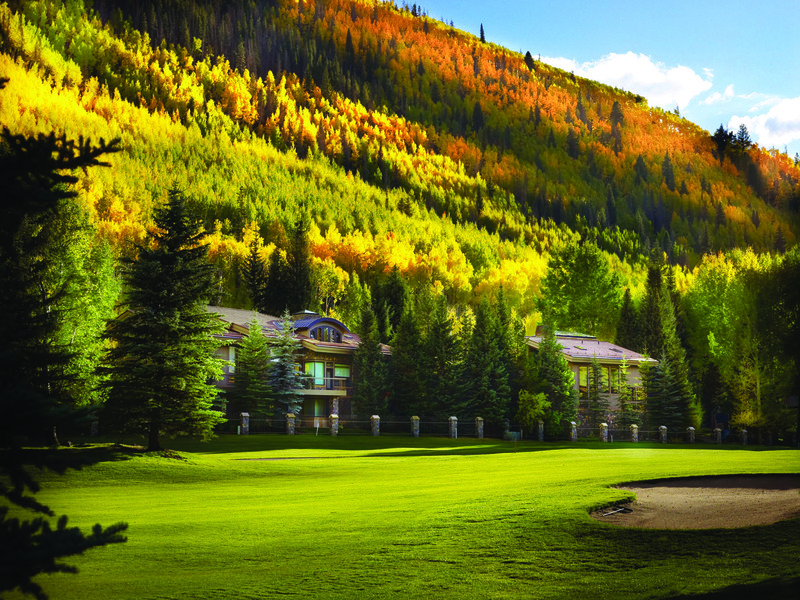 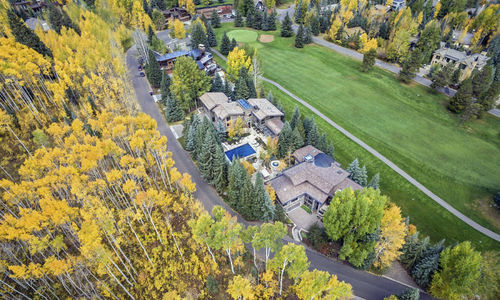 You can have it all in this location on the Vail Golf Course. 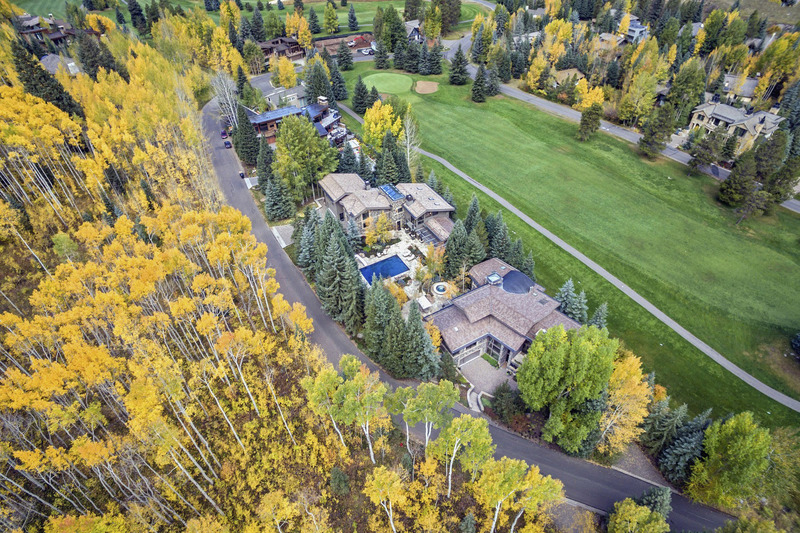 One of the last streets before the Vail Golf Course turns into Vail Village with just over a half mile to the slopes via Golden Peak.With the 4th Fairway on the North side of the house and open space on the South, this location provides a sense of privacy and seclusion that is unheard of in a home this close to Vail Village. 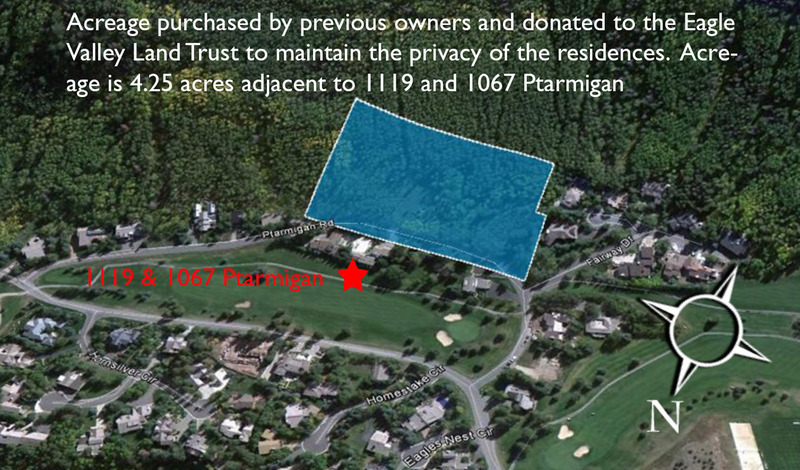 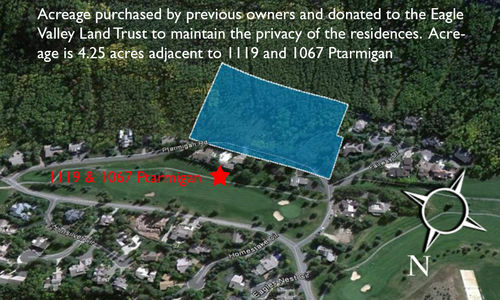 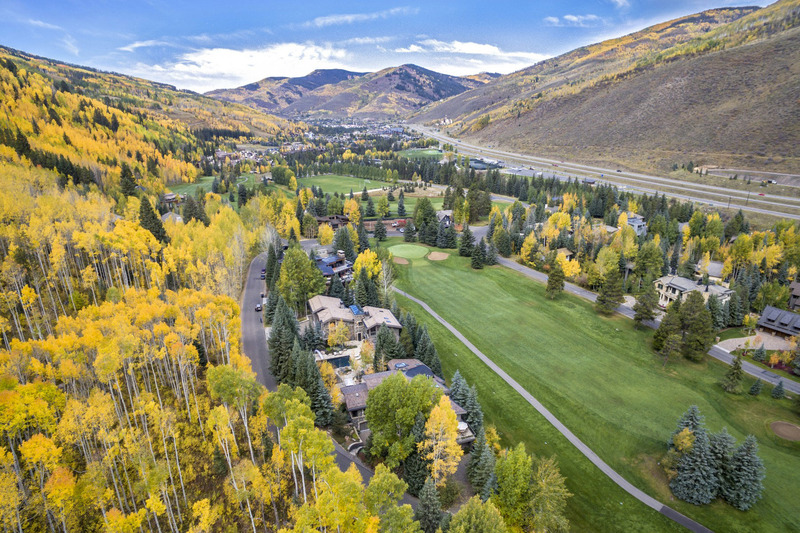 The previous owners purchased the 4.25 acres south of the estate and donated it to the Town of Vail as open space to ensure the estate’s pristine and private beauty. 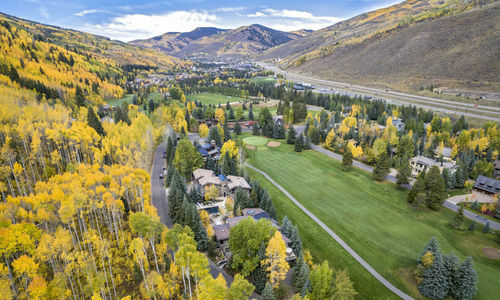 Although the location is so close to Vail Village that it is a perfect summertime stroll, it is also located on the free shuttle and has only a two minute driving time before being dropped right at the ski slopes. 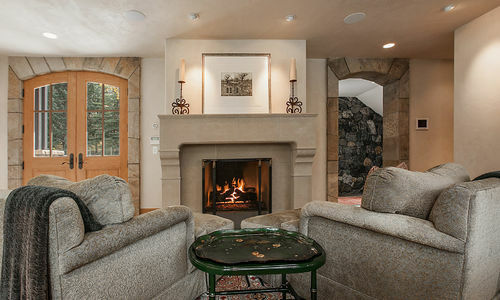 You don’t even need to wait for the bus to arrive as the real-time smartphone app can show you the bus as it makes it way down the street so that you can arrive at the perfect time.This home truly has the best of all worlds with privacy, a wonderful neighborhood feel, and a nice flat grade for walking or biking into town or to Ford Park to take in a Bravo Concert or one of the other summertime events. 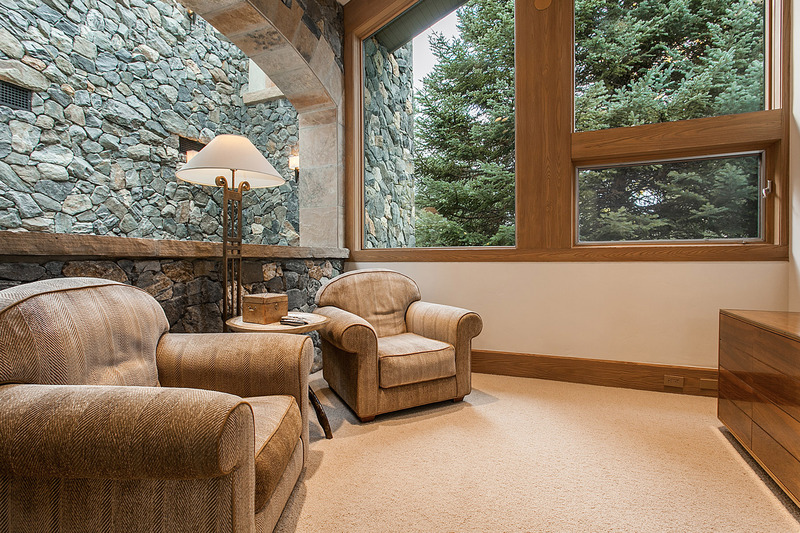 This flat grade provides an easy bike ride that even the youngest of children can manage with ease. 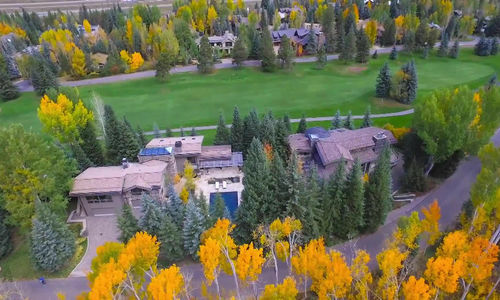 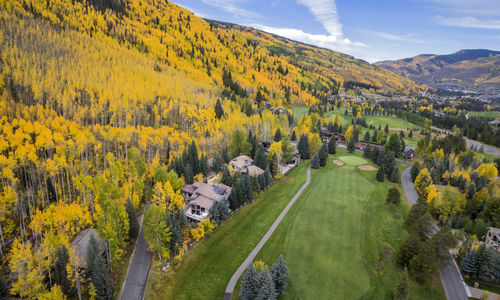 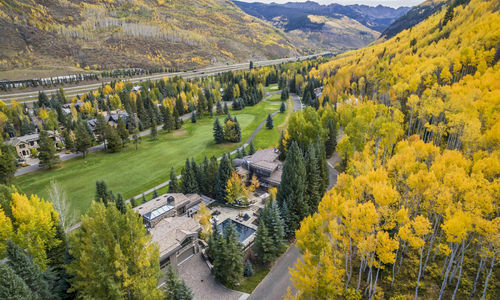 People that consider locations such as Beaver Dam Road, Forest Road, and Rockledge Road should not forget that some of the closest and best locations are on the edge of the Vail Golf Course, just around the corner from Vail Village and boast more sun, a free shuttle location and nice flat grade. 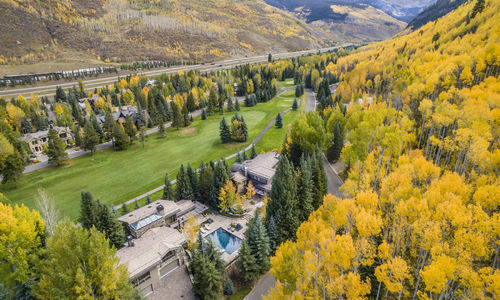 There are so few single family homes that ever sell in this part of the Vail Golf Course making this an even greater opportunity. 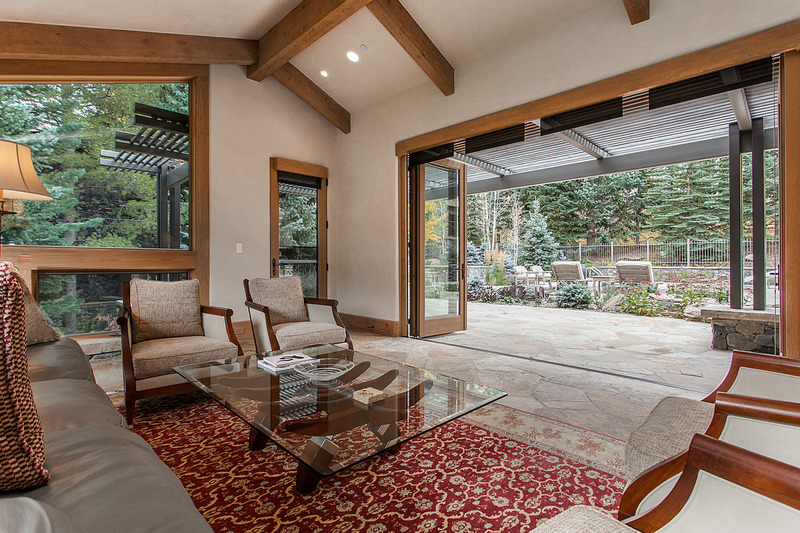 The main living room has a folding glass wall that truly brings the outdoors in by opening up to the outdoor dining area and patio. 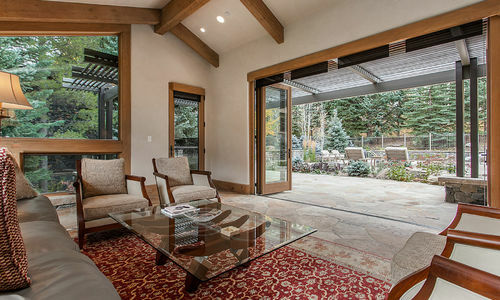 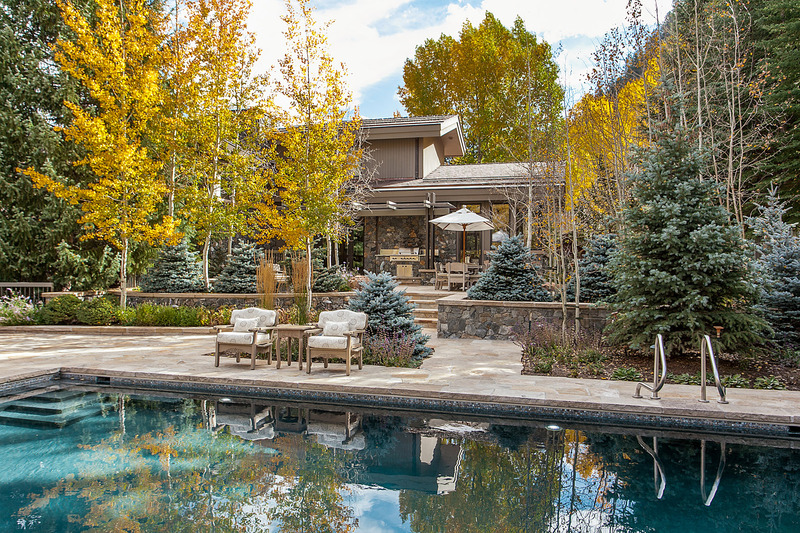 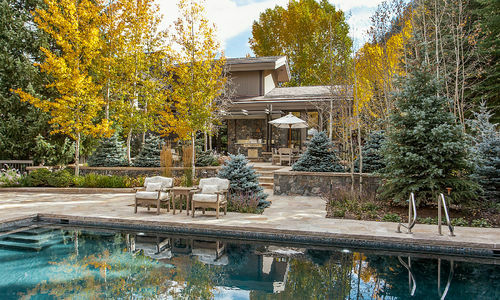 This patio area is the best in the Vail Golf Course area, with a year-round heated pool, an outdoor kitchen, and it is all surrounded by mature and lush landscaping and the hillside for of aspen. 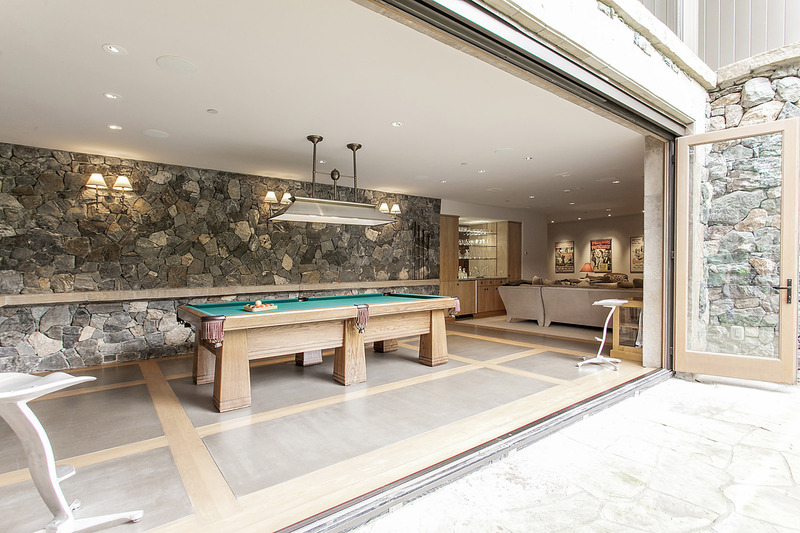 There is also a heated patio off the family room also with a folding glass wall that opens between the billiards area in the family room. 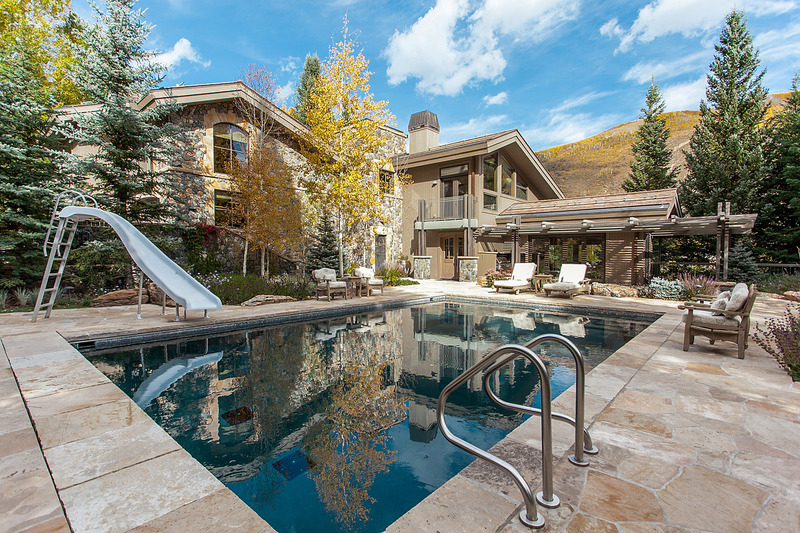 There is a private playground on the estate as well just below the Nanny suite/Caretaker’s balcony area. 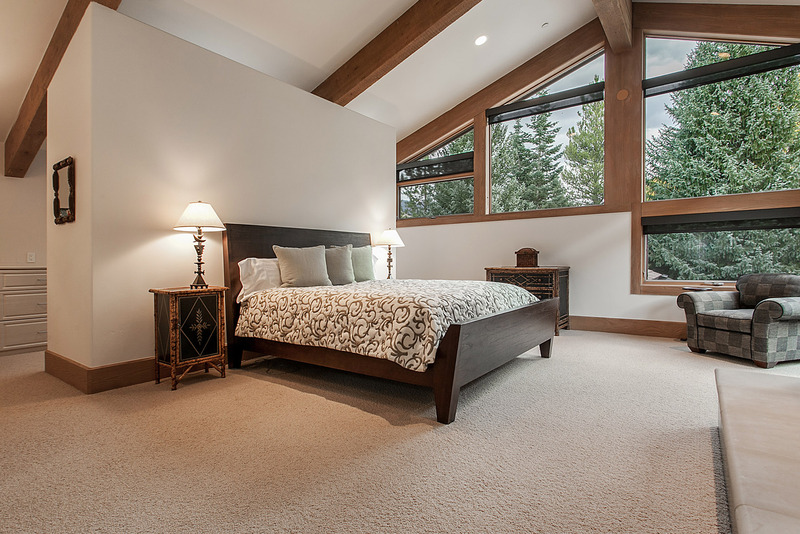 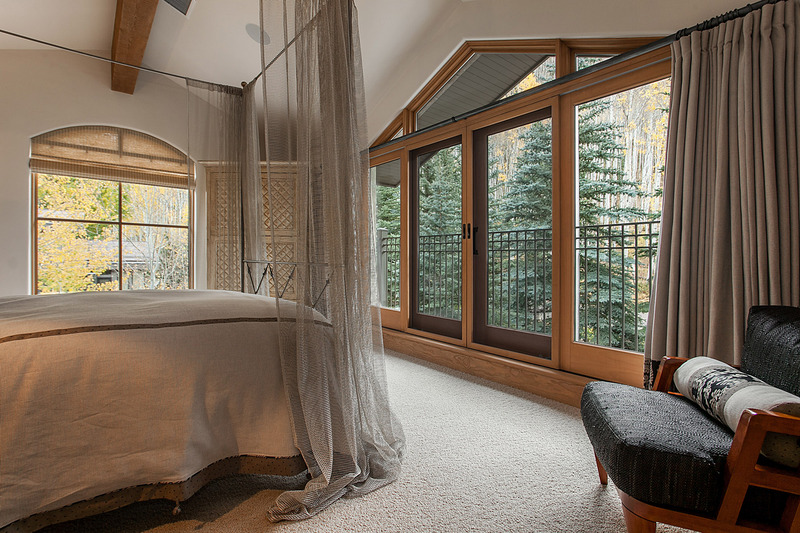 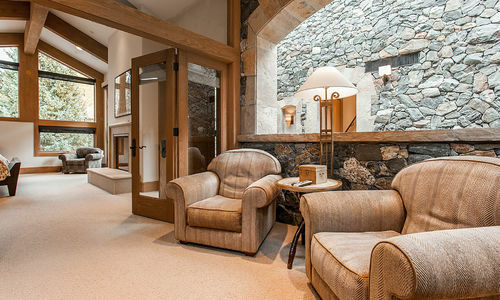 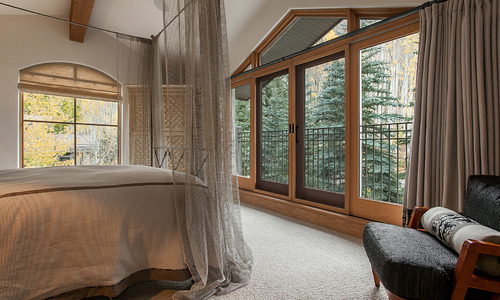 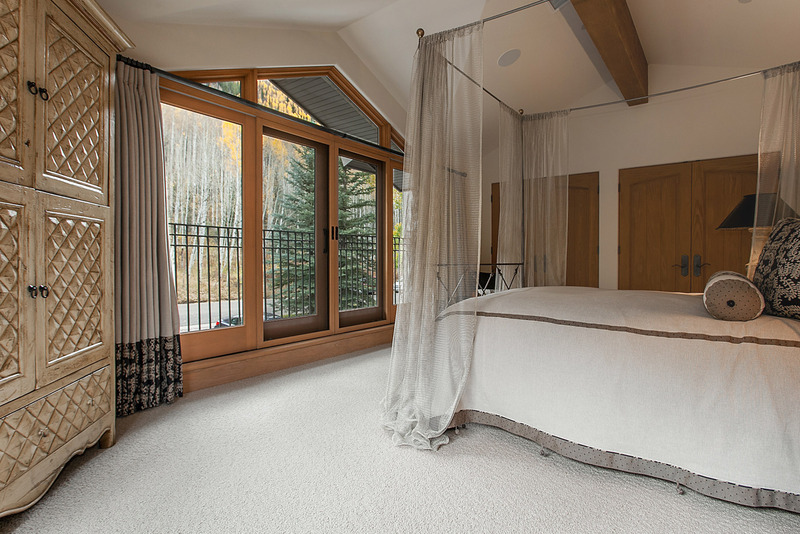 The master bedroom is an elegant room with its own separate sitting area to watch television. 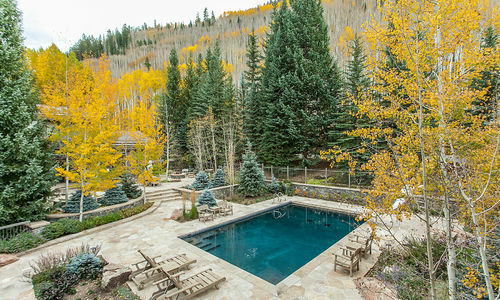 There are views of the Gore Range, the pool patio area and the tree filled hillside. 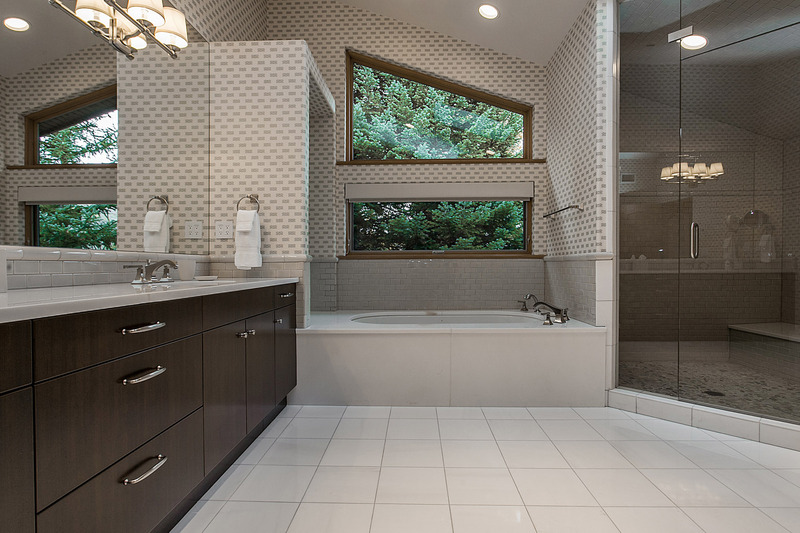 The master bathroom is beautifully renovated and has a large European shower and a jetted tub. 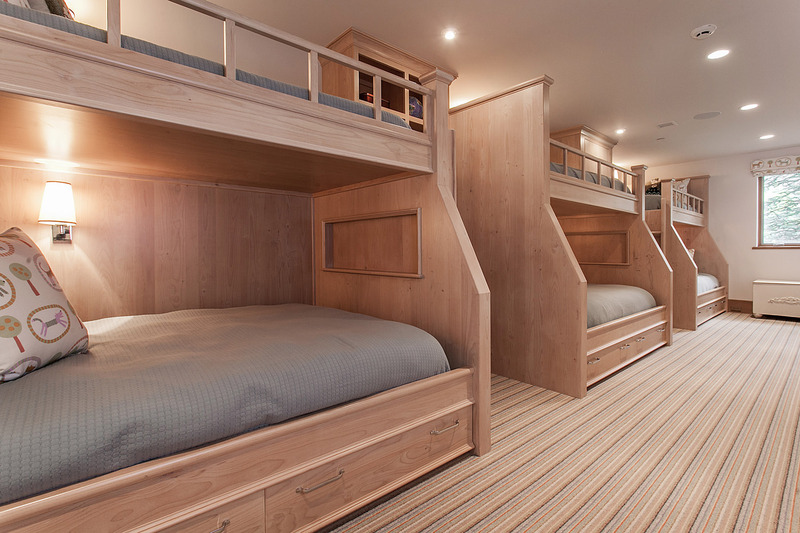 There is a 12 person bunk room that will excite any child. 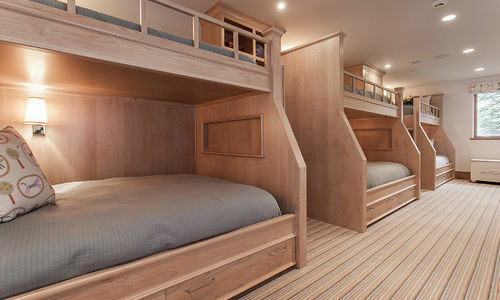 With four beautiful custom captain bunk beds along with built in shelving and individualized lighting for nighttime reading. 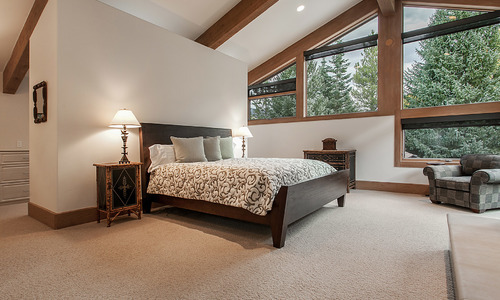 There is a guest master suite that has a view of much of the 4 plus acres of open space and just before this room is where one could add a hallway to tie the Caretaker’s apartment into the main house. 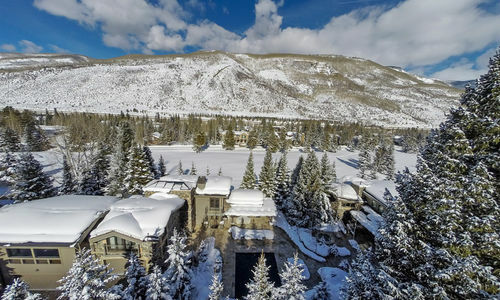 The Caretaker’s/Nanny apartment can remain autonomous from the main house or can be incorporated into the house by the new owner. 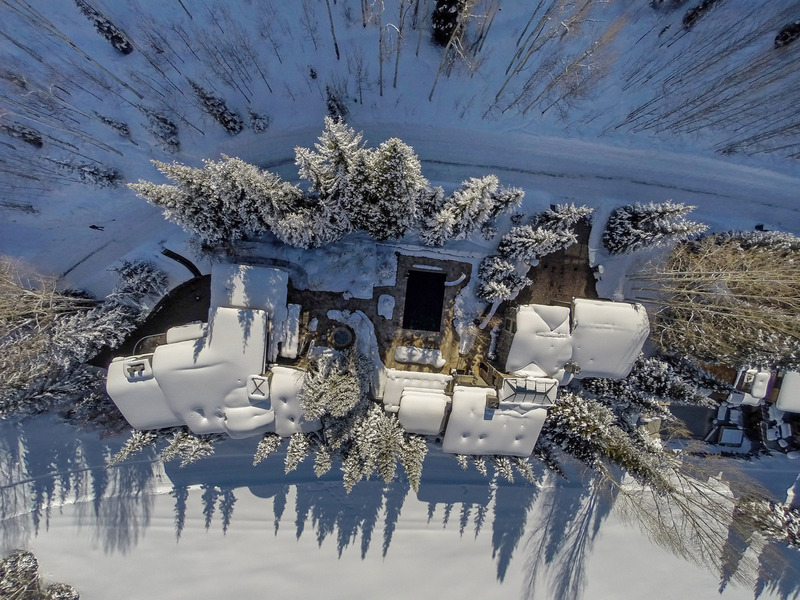 It currently has a full main living area, dining, kitchen and a bedroom and bath but could easily be made into two or three bedrooms should the new owner prefer a larger single residence. 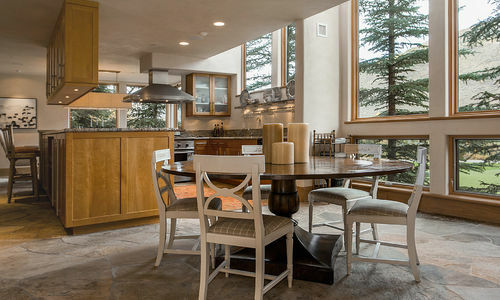 The views from this apartment are of the open space area and are what the mountains are all about. 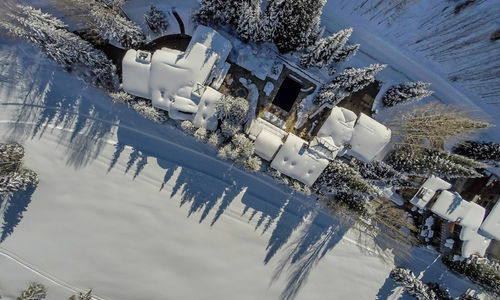 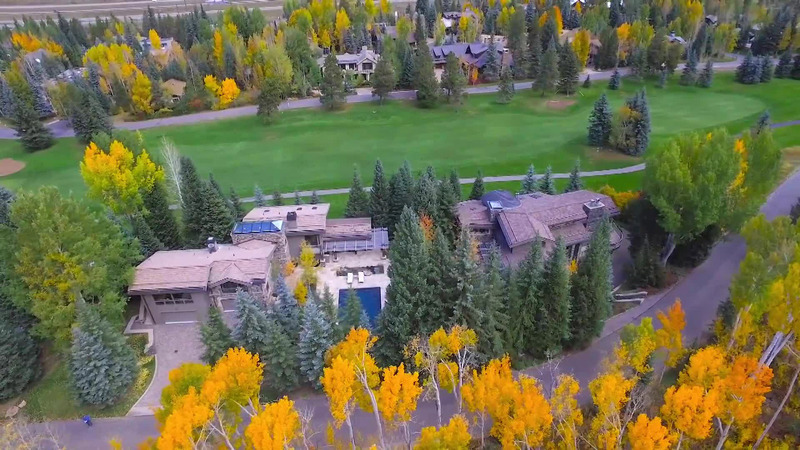 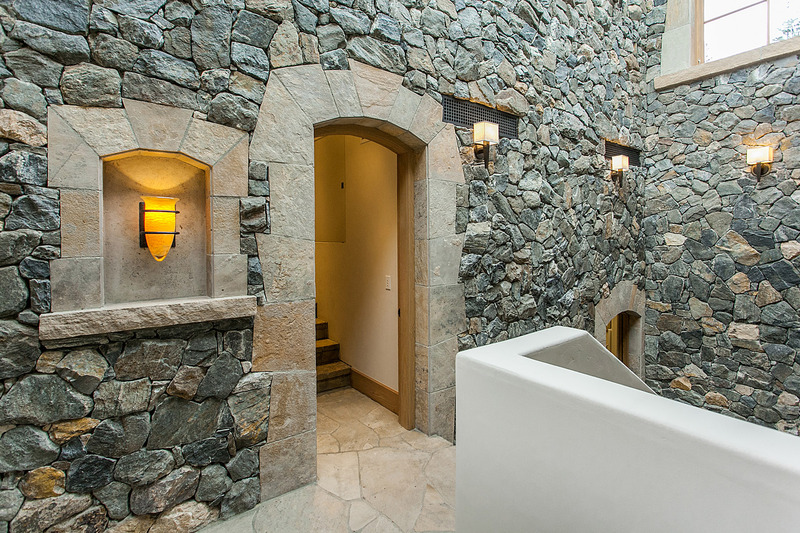 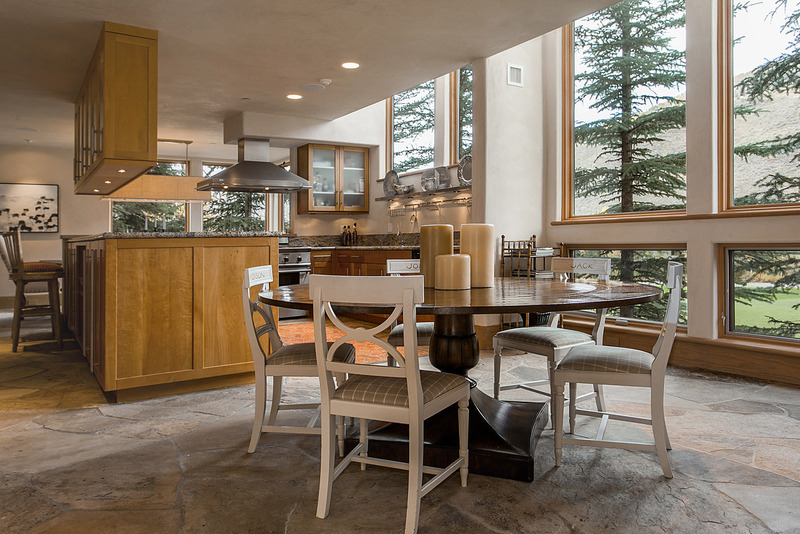 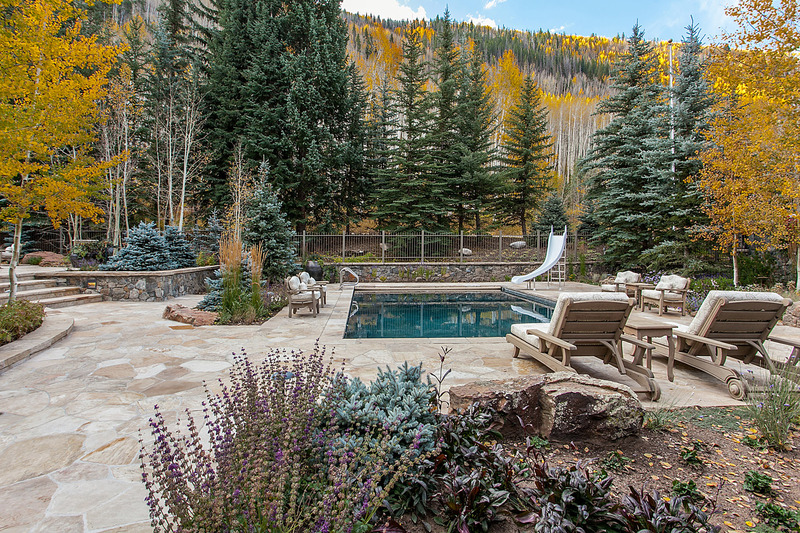 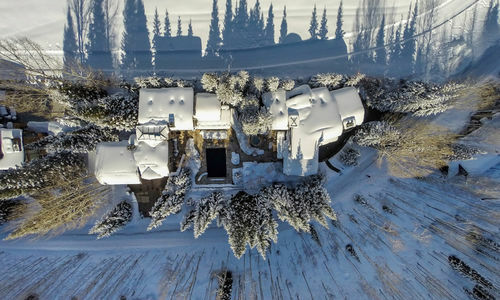 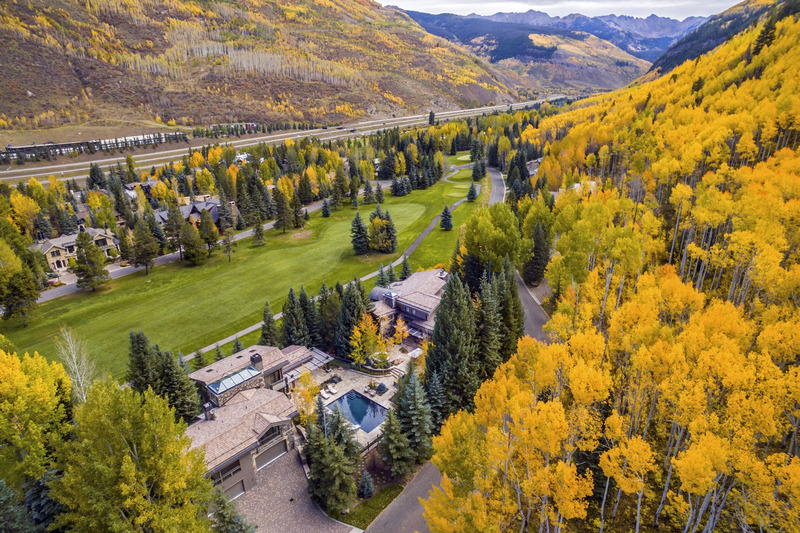 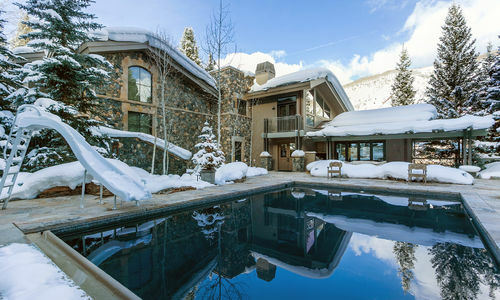 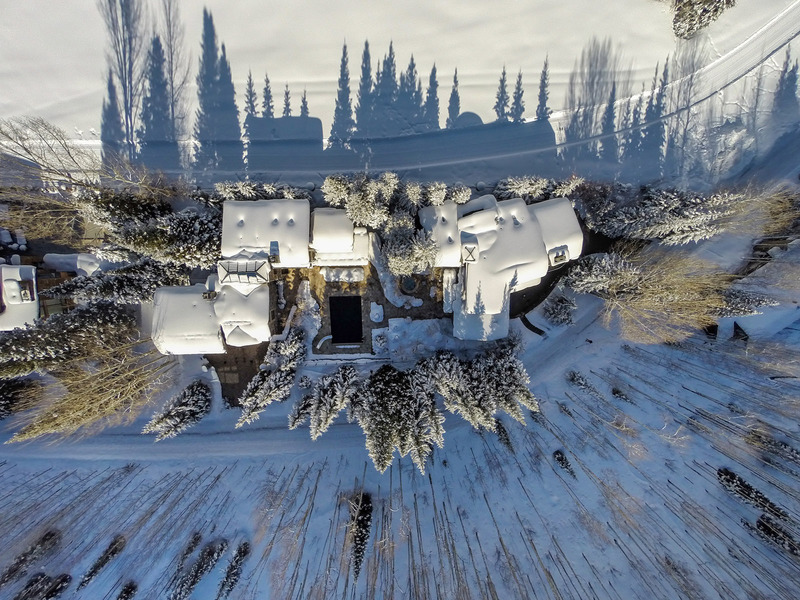 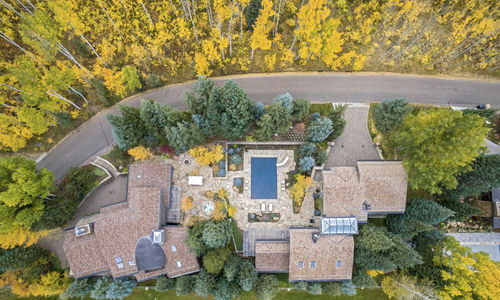 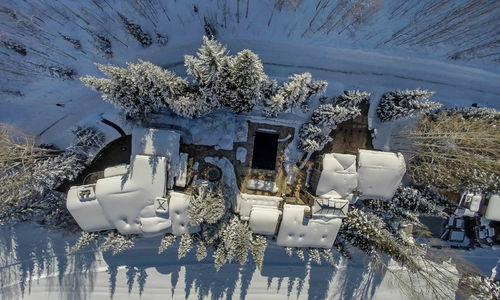 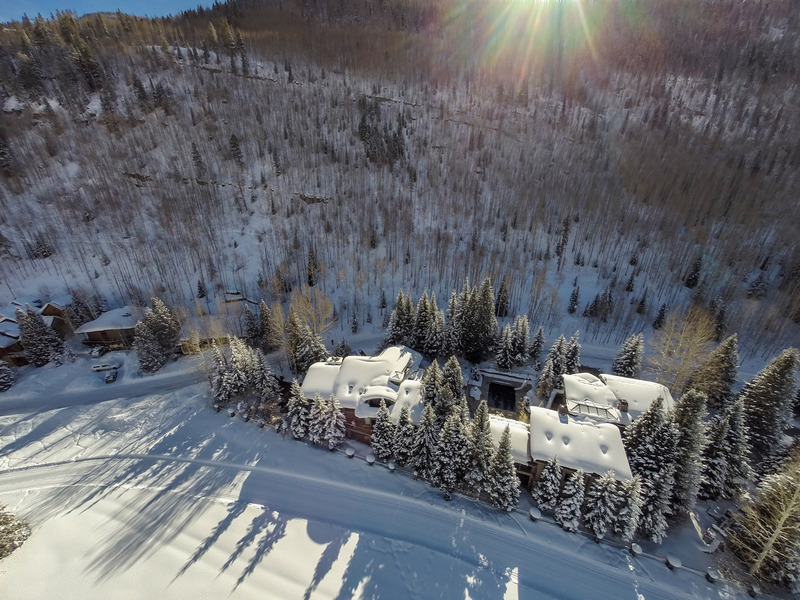 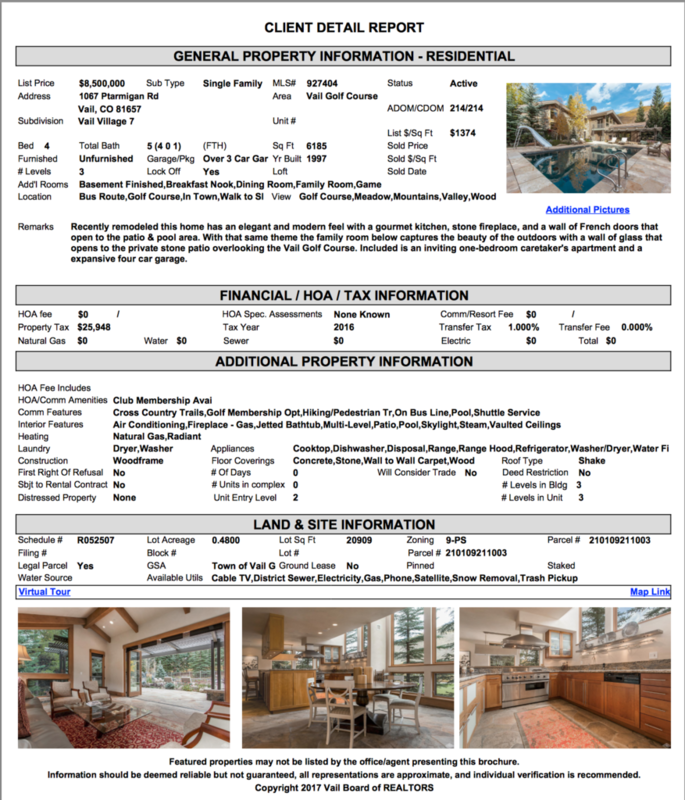 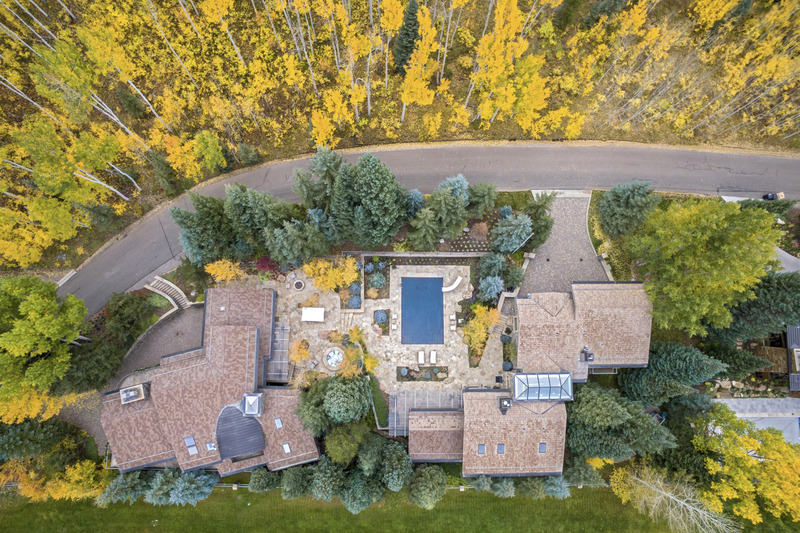 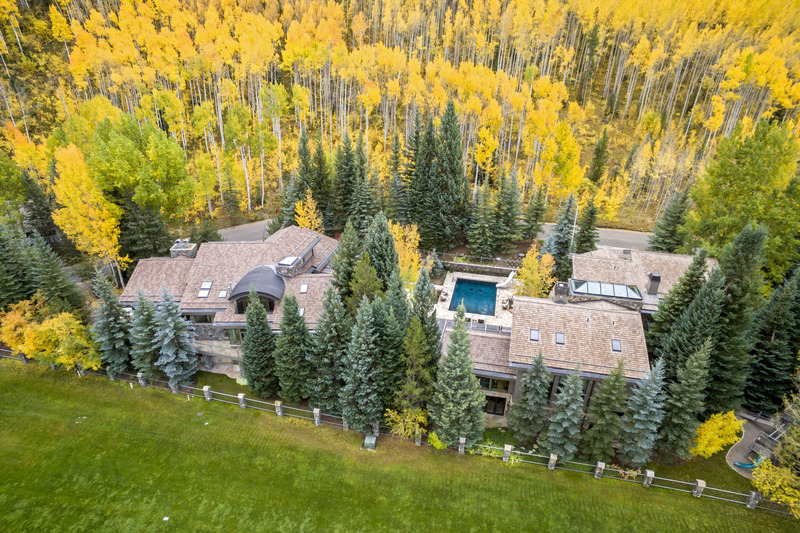 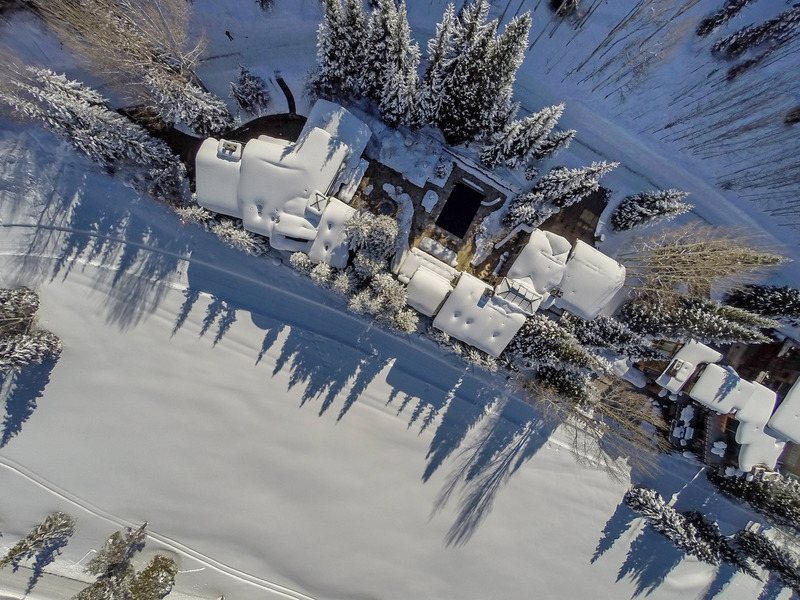 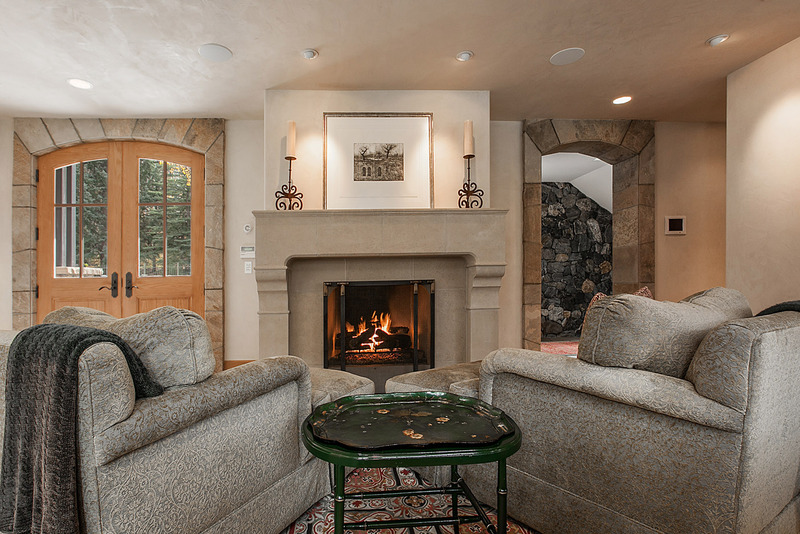 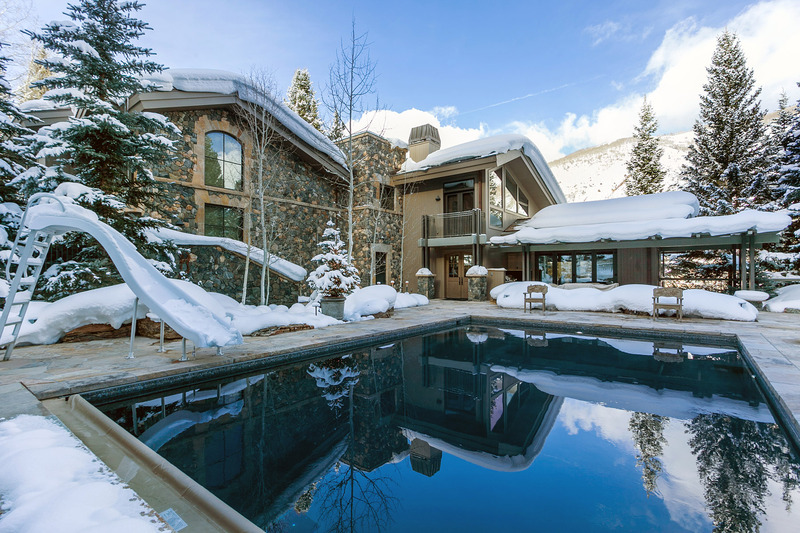 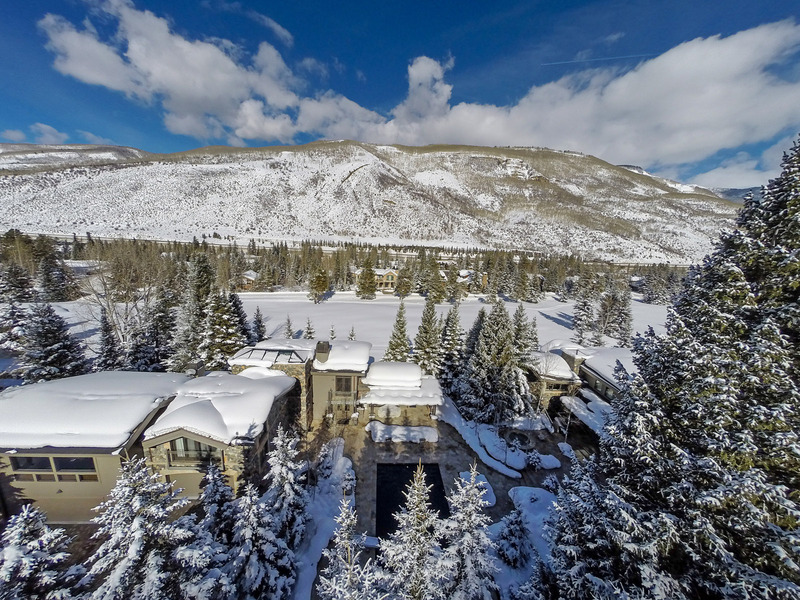 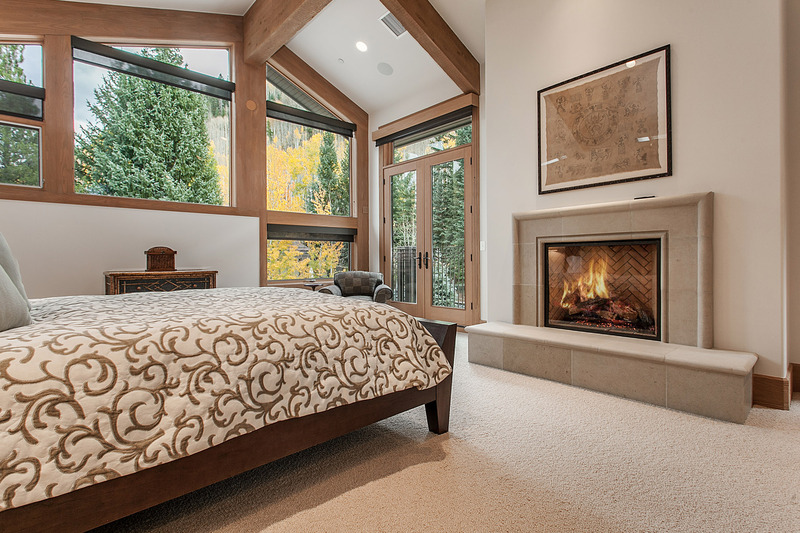 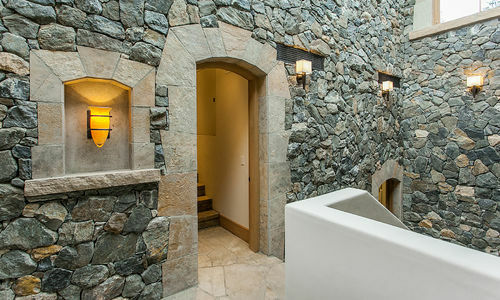 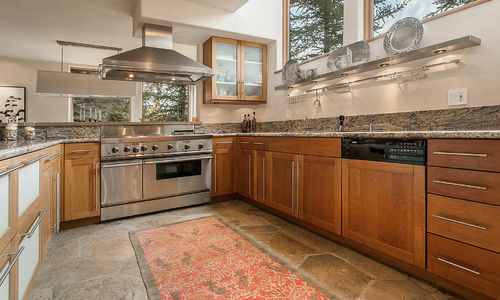 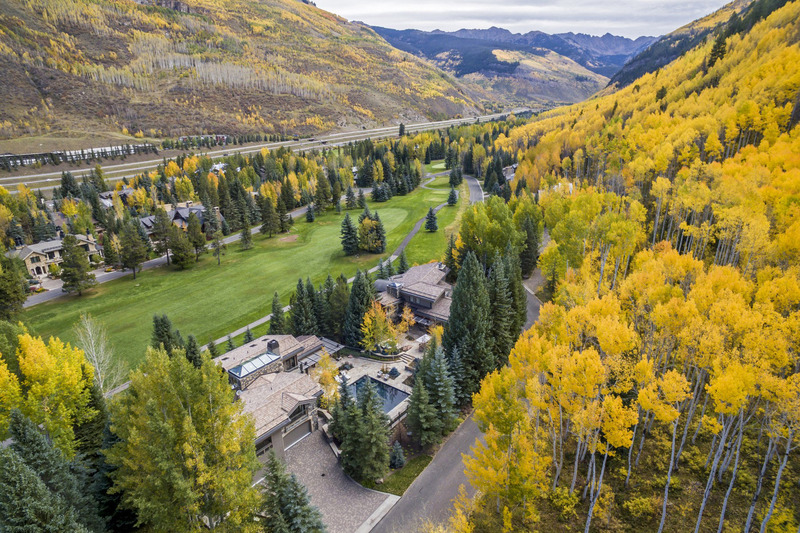 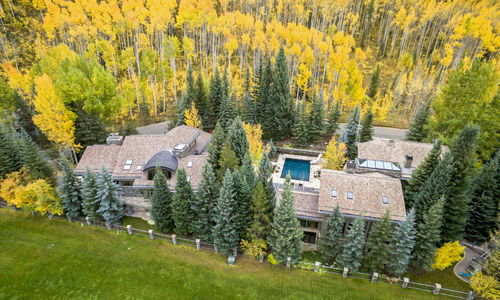 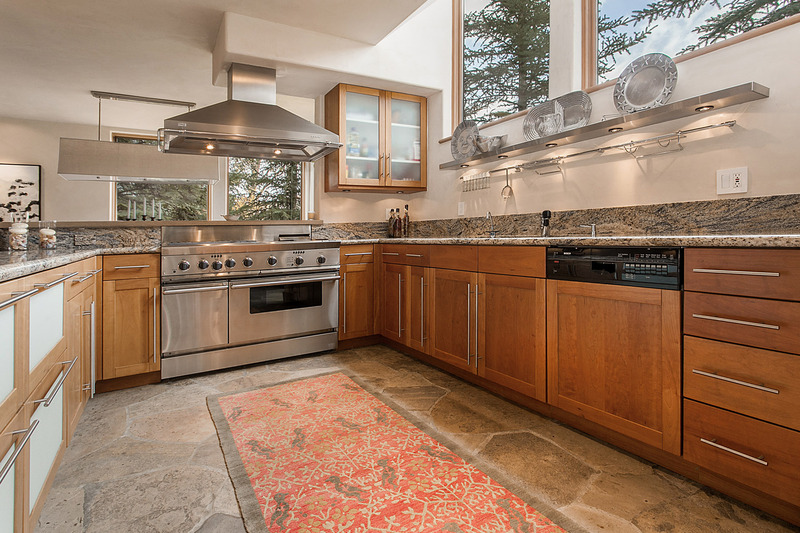 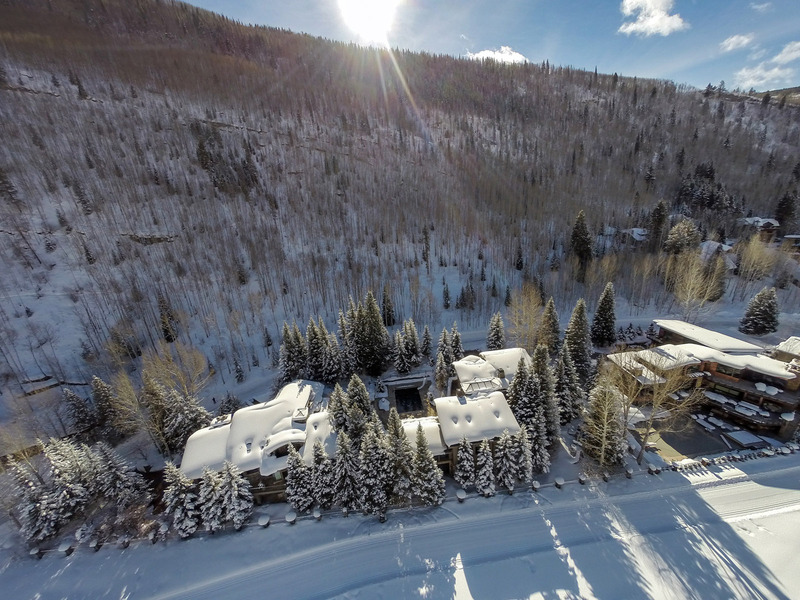 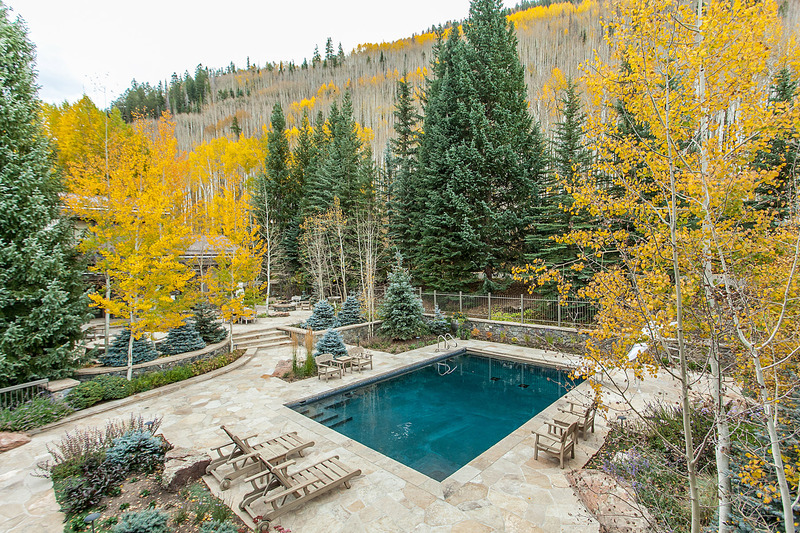 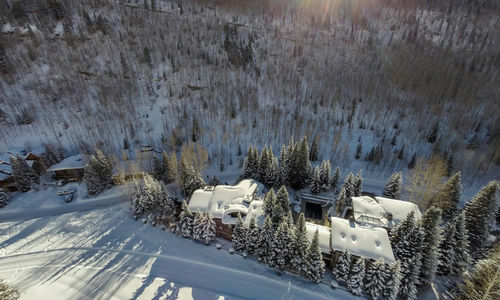 This residence can be purchased individually and refined into the ideal residence or it can be purchased in conjunction with 1119 Ptarmigan Road if one chooses to own this entire remarkable compound with the perfect level of privacy and proximity to Vail Village. 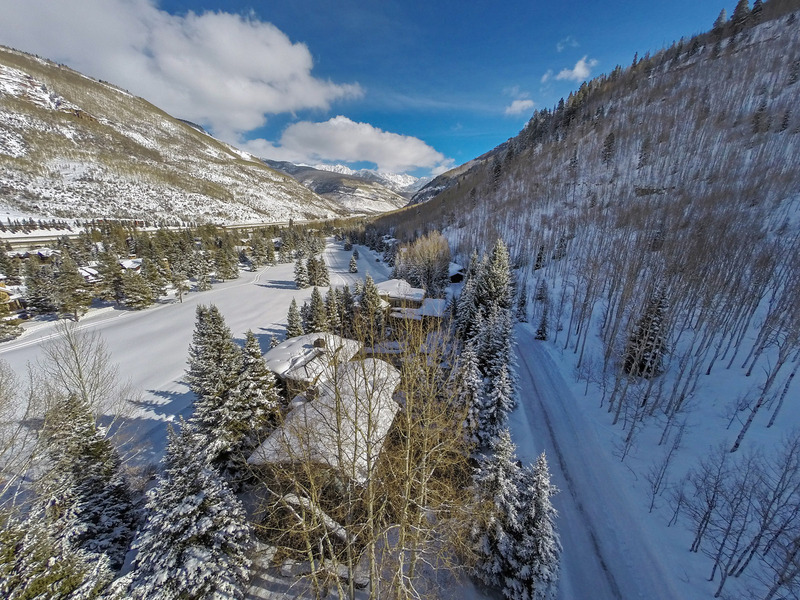 Note that this is the Winter Bus Schedule for 2017-2018 as next winters bus schedules have not been released. 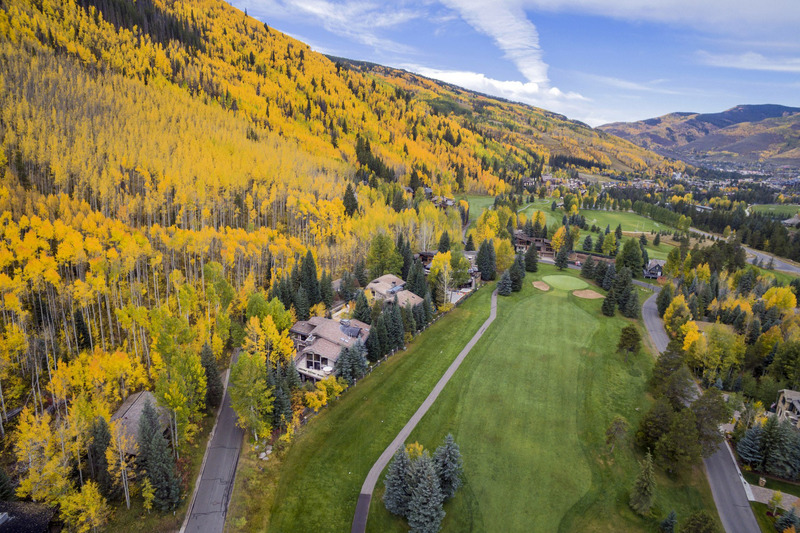 Click here for the current bus schedule for Vail Golf Course. 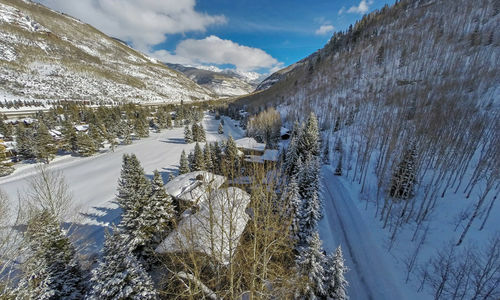 Note that it is only 3 minutes to ride the shuttle to the slopes if you choose to take the Town of Vail bus in the area. 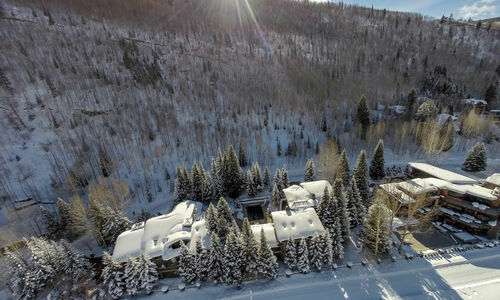 There is only one stop before being dropped at Golden Peak.